Alpha the trusted home and commercial building inspection company, announced its innovative range of services to clients. Their dedication to using the most up-to-date, accurate technology in the inspection industry continues to provide buyers, sellers and realtors with maximum information to aid in their decision-making. Alpha Home & Commercial Building Inspections, a licensed inspection company based in Merrimack and Portsmouth, New Hampshire, announced they have further integrated more state-of the-art innovations to provide their clients with objective information for investment decision making. Alpha is always growing and expanding their knowledge base ensuring their services provide the latest technology in building inspections, devices and software applications. 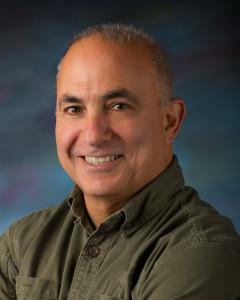 Steve Mangekian the company’s owner, strives to ensure Alpha’s clients and referring Realtors are provided with timely, clear, concise and accurate reports all delivered with exceptional customer service. Alpha’s six licensed inspectors currently understand the value of long and short-term property investments. Alpha provides residential inspection in New Hampshire and Maine and commercial building inspections throughout New England. Alpha’s knowledgeable customer service representatives answer phone calls seven days a week, are highly trained and able to answer and assist with all customer needs. This personalized customer experience aligned with Alpha’s inspectors located throughout the state, provide the perfect flexibility to accommodate their clients scheduling needs. The Alpha inspector team sets radon monitors and take water samples two to three days prior to inspections, which enables them to provide all test results when the inspection report is delivered. Alpha Home & Commercial Building Inspections number of full-time employees has grown to 10 in under four years. Over the past two years, Alpha has hired an Administrative Customer Service Manager, Receptionist, a Marketing Lead Agent and a sixth Licensed Inspector. In November 2015, owner Steve Mangekian after achieving the top producer status out of 250 franchises, ended his 10-year franchise affiliation with National Property Inspections. Steve rebranded his name and created the company Alpha Home & Commercial Building Inspections. The guy behind the spark of this marketing roll-out is Peter Cummins (Petie). Petie started working as Alpha Building Inspections Outside Marketing Rep in September 2018. He is a recent graduate from the University of New Hampshire and manages Alpha’s business relationships with realtors. Petie visits real estate offices throughout the state, schedules CEU classes, and assists realtors before and after inspections. Interested parties can find more by visiting https://www.alphabuildinginspections.com or calling 1-603-758-3150.